While 2013 may be a quiet year on the federal election front, there will still be plenty of political noise made this fall in the Garden State as New Jersey’s state and local elections take center stage. The ardent politicos among our readers are probably disappointed that we won’t be seeing the “rising star” gubernatorial showdown between incumbent Chris Christie and Newark Mayor Cory Booker, but there will still be high-stakes drama along the Turnpike as both parties tussle over important state and local offices this November. These races will present ample opportunity for political participation throughout the year by individuals, corporations, unions, trade associations, PACs and organizations from around the country. 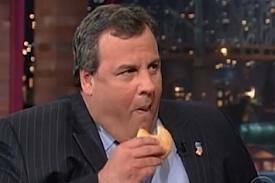 After all, Governor Christie and other state candidates can’t win reelection with only donuts in their pockets… they might need some financial resources as well. Whether dealing with donuts or dollars, however, due to the combination of federal pay-to-play rules and New Jersey’s highly restrictive state and local pay-to-play framework, the Garden State will be a treacherous political playing field for those individuals and entities that “do business” in one manner or the other with state, county and municipal government. This is particularly the case for those who are current or prospective government contractors, and those who fit the definition of investment advisers, municipal securities professionals, or swap dealers. Readers of this blog should be intimately familiar with federal pay-to-play provisions such as SEC Rule 206(4)-5, MSRB Rule G-37, and CFTC Rule 23.451, which prohibit “covered” investment, municipal finance and swap firms, their covered employees, and any political action committees (PACs) under their control from making, soliciting or coordinating contributions on behalf of covered officials. 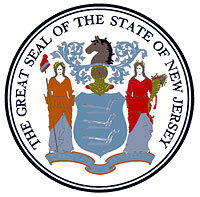 New Jersey Officials covered under these rules include Governor Christie (who appoints individuals to the State Investment Council and other entities that may select an investment adviser or issue municipal bonds) and various other county and local elected officials who have the authority to directly or indirectly select or influence the hiring of governmental investment advisers, municipal securities dealers, or governmental special entity swap dealers. Due to these federally-imposed restrictions, potentially-covered firms, employees and their PACs should think carefully about the pay-to-play consequences of engaging politically on behalf of the Governor or any other covered elected officials or candidates for elected office. After all, anything more than a de minimis contribution to a covered official or candidate by an investment adviser, municipal securities dealer, swap dealer or affiliate can lead to a two year ban on the receipt of compensation for services provided to state or local government. Contribution solicitation or coordination activities by covered firms and their affiliates can also lead to similar disqualifications from government engagements. Federal pay-to-play rules, however, do not represent the only potential political activity traps awaiting those who do business with state and local governments in New Jersey. Existing or prospective government contractors must also be weary of the expansive pay-to-play framework in place at the state, county and municipality levels in the Garden State. At the state level, pay-to-play restrictions set forth in N.J.P.S. §19:44A et seq., N.J.A.C. §19:25-24 et seq., and the provisions of Executive Orders #117 & #118 effectively limit the political giving and fundraising abilities of commercial entities and associated individuals that do business with state government, the state legislature, and various county and municipal governments. These rules limit political activity by banning certain prospective contractors from entering into agreements with the state if their business entities have solicited or made more than de minimis contributions to candidates for Governor or Lieutenant Governor, or to any legislative leadership committee or state/county/municipal party committee within 18 months of commencing negotiations for a contract or agreement. The state pay-to-play provisions also prohibit existing government contractors from soliciting or contributing money to the same covered officials and committees during the life of their contract or agreement. Additional restrictions likewise limit the political donations and solicitations of state-legislative, county and municipal contractors to de minimis levels within 12 months of seeking a government contract or agreement and during the life of such contract or agreement when the contributions or solicitations involve covered officials. In certain settings, state law also places similar restrictions on redevelopment contractors and individuals or entities that seek to evade the normal pay-to-play rules through indirect, earmarked contributions to covered officials via intermediary groups. As a result of these restrictions, a wide range of “business entities” and affiliated individuals must weigh whether New Jersey political engagement is worth the potential cost of losing business opportunities with state, county and municipal governments. 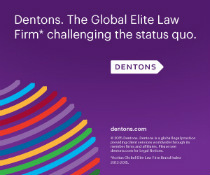 Potential affected parties include corporations and their officers, partnerships and their partners, LLPs and their partners, professional corporations and their shareholders or officers, LLCs and their members, sole proprietorships and their proprietors, and other organizations and their principals/officers/partners. Directly or indirectly controlled subsidiaries of such business entities, PACs and SSFs directly or indirectly controlled by such business entities, and the spouses and dependent children of affiliated individuals also face a similar dilemma. Add to this mix the hodgepodge of unique county and municipal pay-to-play provisions layered on top of the statewide rules, and New Jersey political engagement becomes a very risky proposition for potential or existing government contractors, investment advisers, municipal securities professionals, swap dealers, and others who do a great deal of business with government. As such, before our readers dive headlong into political engagement in New Jersey this cycle, it is imperative that they seek out experienced political law counsel and stay tuned for our latest updates from the Garden State. And for those sticking to donut donations this year, be sure to keep your in-kind contribution of Krispy Kremes to de minimis levels and pay-to-play compliant. With Labor Day weekend at hand and the Republican and Democratic National Conventions upon us, much of the American electorate is finally beginning to tune back into politics and prepare themselves for what will certainly be a very interesting close to the 2012 campaign season. News regarding the race for The White House will certainly dominate the media over the coming months, and rightfully so, but Pay-to-Play Law Blog is here to offer our readers, particularly those residing in swing states, a brief respite from the 24-7 presidential election coverage. We know our readers love Super PAC advertisements, political campaign internet pop-ups, and robo-calls as much as (if not more than) anyone, but we also know that they like to stay up to date on the important state and local pay-to-play news that might otherwise be slipping through the cracks between now and November 6th. With that in mind, we offer up a few recent items of interest from the Garden State and D.C. In New Jersey, where individuals and businesses alike must already deal with restrictive pay-to-play provisions at the state level, we are continuing to see similar (and often more serious) restrictions contemplated and put in place at the municipal level. For example, consider recent developments in Gloucester Township, an exurb of Philadelphia, which has had an extraordinarily busy summer when it comes to “pay-to-play” developments. Several months ago, a conservative transparency group known as South Jersey Citizens made an effort to launch citizen-crafted pay-to-play provisions through the township’s petition process, but were unable to gather the requisite signatures to advance the proposed legislation to the Gloucester Council and, if necessary, the November ballot. At nearly the same time, Gloucester Councilman Dan Hutchinson presented his own set of pay-to-play rules specifically targeting Super PAC donation disclosure, which were unanimously approved by the Council on first reading, but subsequently withdrawn before a final vote. Following the withdrawal of these proposed rules, a group of Democratic Gloucester residents took up the pay-to-play mantle by repackaging the Councilman’s draft ordinance and gathering the requisite petition signatures for its public submission to the Council. As a result of their work, the pay-to-play proposal came before the Council members for tacit approval on Monday and will appear on the November general election ballot for the voters of Gloucester Township to consider. The content of Gloucester’s prospective pay-to-play ordinance, O-12-17, places a combination of contribution restrictions and disclosure requirements on prospective township vendors. Specifically, if passed, the proposed provision would prohibit any business entity from entering into any agreement or contract with Gloucester Township or any of its departments, instrumentalities, purchasing agents or authorities for a one year period following the solicitation or making of a contribution above the “monetary threshold” to any Gloucester-specific candidate, candidate committee, joint candidate committee, political party committee, or to any PAC or Super PAC that “regularly engages in the support of Gloucester Township municipal elections…” The monetary threshold for this one-year, cooling-off period is set at the following levels: $300 per calendar year for mayoral or governing body contributions; $500 per calendar year for joint candidate committees supporting mayoral or governing body candidates; $300 per calendar year to municipal political committees or municipal political party committees; $500 per calendar year to any PAC or Super PAC; and $2,500 in aggregate in to all Gloucester candidates, committees, joint committees, political committees and political party committees. The potential ordinance would also require all business entities entering into agreements or contracts with the township to file a certification statement disclosing all their contributions to Super PACs, regardless of whether or not those Super PACs actively engage in Gloucester elections. All-in-all, the proposed ordinance appears to represent an honest attempt by the township to reign in pay-to-play corruption and encourage transparency in political giving. Like many of the municipal pay-to-play provisions in the Garden State, however, it takes a fairly heavy-handed approach and, if passed, may force many potential Gloucester vendors to either cool their political speech at the local level or avoid municipal contract work altogether. Regardless of this blog’s commentary, however, the residents of Gloucester Township will weigh in with their thoughts on the proposed ordinance on November 6th. Meanwhile, a few hours down I-95, embattled Washington, D.C. Mayor Vincent Gray made news this week by proposing a series of campaign finance disclosure requirements and donation restrictions that he claims will curb “pay-to-play” activities in D.C., and minimize the influence of lobbyists and contractors on District politics. While at least partially a public relations move designed to draw attention away from the continuing federal investigation into Gray’s fundraising and campaign spending activities, the proposals – if passed by the D.C. Council this fall – would leave Washington, D.C. with one of the strictest campaign finance structures in the country. Although not yet memorialized in legislative language, let’s nevertheless take a quick look at some of the rough proposals set forth by the Mayor and D.C. Attorney General Irvin Nathan this past Tuesday. In addition to this proposed contribution restriction for D.C. government vendors, Gray and Nathan also called for additional legislation that would prohibit registered District lobbyists from bundling campaign contributions, ban corporations from donating to District candidates through linked or affiliated entities, and require candidates that receive campaign donations within 30 days of an election to disclose such contributions within 24 hours of receipt. They also floated two other proposals that, if passed, could have a profound impact on political participation in D.C. Specifically, the Mayor and Attorney General announced that they will be pursuing campaign finance rules that severely restrict political contributions from LLCs and corporations, and also seeking legislation that will require candidate-like donor disclosure for other types of political organizations in the District. Just as with the pay-to-play proposal discussed above, the details of these legislative prerogatives are hazy at best. Gray and Nathan will be working in the coming weeks to put meat on the bone for D.C. Council consideration, but the final product (if any) that emerges from that body will almost certainly tackle the pertinent policy issues in a different manner than proposed by the Mayor and Attorney General. With that in mind, Pay-to-Play Law Blog will be here to monitor the process and keep our readers up-to-date on all the fun. “Pay-to-Play” Restrictions Debated in Newark: Unfair Advantage for Popular Mayor? Critics of “pay-to-play” restrictions have long come from throughout the political spectrum, raising concerns ranging from free speech to ballot access. But the recent “pay-to-play” proposals in Newark, NJ have been criticized by some public officials for a rather novel reason: they can’t pick up the phone and call Oprah for a contribution like their popular Mayor, Corey Booker, can. This concept is not a novel one, particularly in New Jersey, which has arguably the toughest “pay-to-play” laws in the country. In fact, numerous localities in New Jersey have similar laws on the books. And as we detailed previously, Governor Chris Christie has proposed a wave of robust reforms that would further regulate the political law environment in the Garden State. As “pay-to-play” legislation limiting campaign donations from local redevelopers wends its way through City Hall, some city leaders are saying the proposed fundraising restrictions would create an unfair playing field for candidates who don’t have Oprah Winfrey on speed dial. Indeed, candidates without nationwide networks would be more directly impacted by the current Newark “pay-to-play” proposals than a national figure like Mayor Booker. Yet another reason for some to dislike this sort of piecemeal “pay-to-play” regulation. Nonetheless, reports on the ground indicate that passage of some form of this legislation is likely. In any case, New Jersey continues to be a focal point for developments in the “pay-to-play” arena. We will monitor such developments closely as the end of 2010 nears. New Jersey Governor Chris Christie recently announced an ambitious proposal to overhaul New Jersey’s ethics regulations which takes aim at perceived campaign finance loopholes and conflicts of interest, while also significantly increasing disclosure requirements for legislators. Importantly, the proposals by Christie, who campaigned vigorously on ethics reform, also contain several new “pay-to-play” regulations. Specifically, an announcement from the Governor’s office announced three proposals which would directly address New Jersey’s current “pay-to-play” regime. First, Christie has stated that he will “impose a uniform set of contract award standards on all levels of government and all branches of state government” by ending the “fair and open contract” exception for businesses that make reportable campaign contributions at the legislative, county and municipal levels, but are currently still able to receive contract awards valued greater than $17,500 with local governments. As Christie correctly notes, this practice is not currently permitted at the state/gubernatorial level. Christie also aims to restrict what is commonly known as “wheeling” by “imposing contribution limitations on county and municipal committees for committee-to-committee contributions and committee contributions to out-of-county or out-of municipality candidates.” If enacted, this proposal would have a significant impact primarily at the local level, where contributions are routinely “wheeled” between committees, making the original source of campaign contributions unclear. Finally, and most controversially, Christie proposes to limit political contributions from labor unions which have contracts with the state. As you will recall, Christie previously signed an executive order setting forth such regulations, only to have the Executive Order overturned by a state appeals court, which stated that legislation was necessary in order to enact such restrictions. Given that Christie is a Republican taking aim at perhaps the largest source of campaign contributions to Democrats, it is certain that this proposal will be met with significant opposition in the Democratic controlled legislature. While the specifics of the proposals are sure to change in substance throughout the legislative process, it appears as if at least some new “pay-to-play” provisions are on the horizon in the garden state. As we have indicated previously here with respect to pay-to-play regulation, structure and statewide uniformity are sorely needed within the Garden State. We will continue to monitor what is sure to be a dynamic situation in New Jersey. A new report issued by the New Jersey Election Law Enforcement Commission (ELEC) is being cited as evidence that New Jersey’s pay-to-play laws, which are undoubtedly amongst the most robust in the nation, are reducing the amount of money entering New Jersey politics. Specifically, ELEC’s analysis of contributions to candidates participating in the upcoming May 11 municipal elections in New Jersey indicate that total contributions are down 19% from fundraising totals at the same point four years ago. While current economic conditions would undoubtedly seem to have had some impact on these figures, a close examination of all campaign contributions in New Jersey indicates that pay-to-play laws are playing a significant factor in the reduced fundraising totals. For example, ELEC is reporting that gross receipts for New Jersey state political parties, and House and Senate Leadership PACs, are down 36% from 2006 levels. Similarly, ELEC states that county party committees have reported 28% reductions in gross receipts over the same period. Though municipal pay-to-play limits in New Jersey are generally very stringent by national standards, municipal candidates generally have more flexibility to accept contributions from municipal contractors than New Jersey state candidates do from state contractors. As the ELEC’s Executive Director states, this flexibility may be a significant factor as to why the reductions in municipal contributions are less dramatic than those that are being seen statewide. In any case, pay-to-play laws are clearly having an impact on the political playing field in New Jersey. Click here for more insight on this trend. We at the pay-to-play law blog will continue to monitor such developments nationwide. As we mentioned in our previous blog entry, New Jersey is giving even further attention to its pay-to-play laws. Yesterday, to show the seriousness of his promises of reform, Governor Chris Christie issued an executive order that curbs political donations by labor unions and is intended to prevent pay-to-play politics from this donor group. Specifically, unions are now included in the group of donors who are barred from having state contracts worth more than $17,500 if they had donated more than $300 to a campaign for Governor or county political committee in the previous 18 months. Democrats are voicing their opposition saying it is “over the top”, as an important portion of their base is made up of labor unions. They do not believe the order will stay in place, denouncing it as an unconstitutional violation of free speech. Governor Christie claims that this simply applies the same rules as other similar types of businesses must comply with such as law and engineering firms.